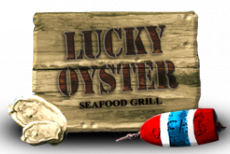 Open for lunch, dinner, and Sunday brunch, Lucky Oyster Seafood Grill is a favorite place for residents and tourists to grab a bit to eat. 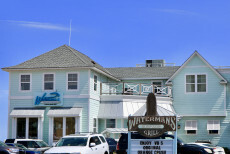 Everyone loves eating here because service is great, food is delicious, and environment is casual. 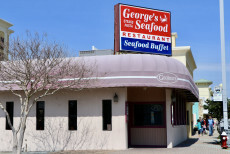 We all have many choices of where to go when we want seafood, and each location offers something different, Captain George’s Seafood Restaurant offers great seafood in an upscale type environment. We took our family here last Saturday for our first visit to Bubba's Seafood. My two year old really loved our seats, as we could see the local fishermen load and unload their boats. Why have locals always made Big Sam's a part of their fun year after year? 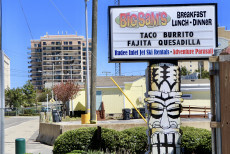 Because Big Sam's was the owner's vision back in the mid 90's, of a place that catered specifically to the people whose lives revolved around the water. Touted as the Best Sushi in Hampton Roads, Domo Sushi surely should be visited while in Virginia Beach! 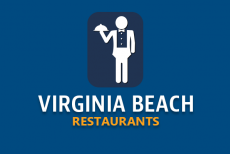 Prepare to become sushi lovers at this VA Beach restaurant. 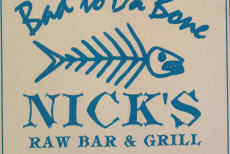 Nick's Hospitality Restaurant offers tasty meals while relaxing in a cozy, friendly atmosphere. Enjoy the colorful and wildly artistic artwork on the ceiling with hand painted tiles! The Lynnhaven Fish House Restaurant provides their customers with amazing views of the Bay, no matter what seat they're in! Every seat has its own unique view, overlooking the Chesapeake Bay. At Blue Seafood and Spirits, you will enjoy the freshest seafood while relaxing in a casual, aquatic themed atmosphere.